Princo Instruments, Inc. was a premier manufacturer of industrial level control instruments, specializing in RF capacitance level technology. The company’s NULL-KOTE™ technology has proven to be effective in eliminating the effects of product build-up on sensing probes where other technologies have failed. The technology has proven effective in measuring the levels of water-based liquids, acids, hydrocarbons and solvents, powders and granulars and various other chemicals. For a detailed explanation of the technology, refer to our section on RF Theory. 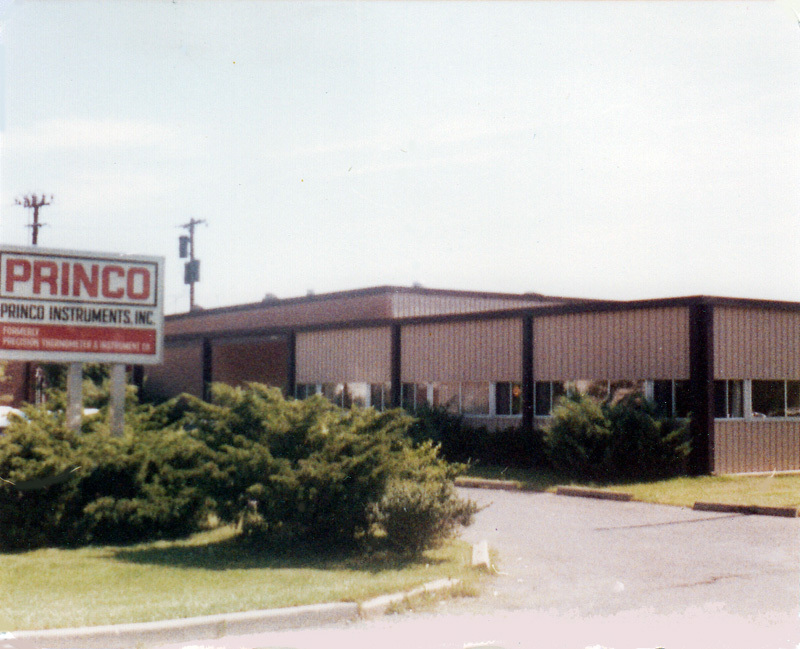 Princo Instruments, Inc. originated as The Precision Thermometer and Instrument Company in 1910. It was founded in Philadelphia by several employees who had previously worked for the Queen Thermometer Company. The company is privately held and is still owned and operated by the family of one of the original founders. In the period from 1910 through World War II the company manufactured a variety of instruments, most of which were made from glass and contained mercury as the measurement medium. These included laboratory thermometers, dial thermometers, metal cased industrial thermometers, thermostats, mercurial barometers, manometers, and vacuum gauges. In 1962, the company moved from Philadelphia to its present location in Southampton, Bucks County, Pennsylvania. In the early 1970’s, an electronic level control was added to the company’s process control line. From this early vacuum tube level switch Princo has developed a complete line of RF Impedance level instruments. As the demand for mercury-based measurement devices declined, Princo gradually transformed itself into a company concentrating on electronic level controls.